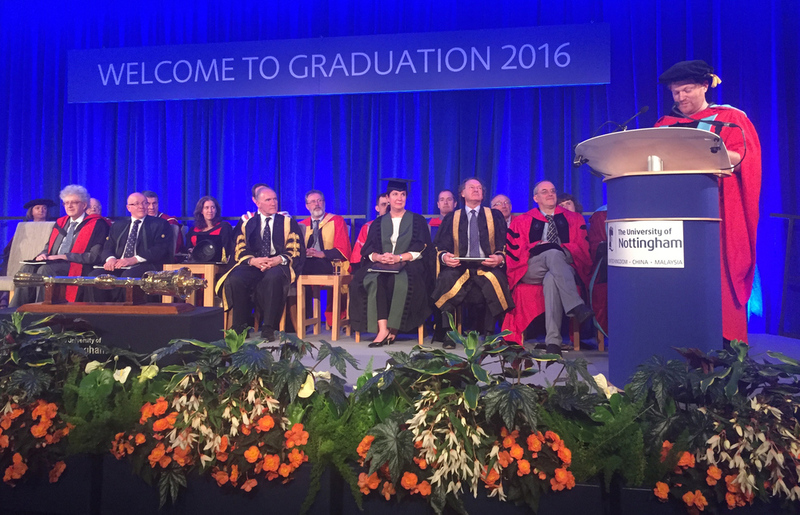 On July 20, 2016, I received an honorary doctorate from the University of Nottingham. It was a Doctor of Letters honoris causa. It was a really great day and I'm grateful to everyone involved. 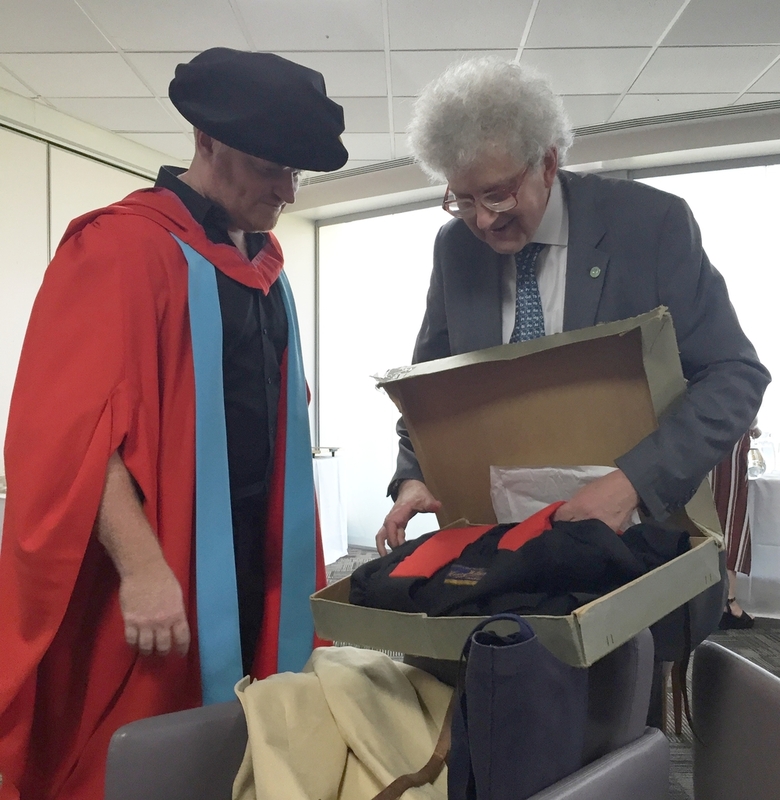 The ceremony was presided over by the University's Vice-Chancellor, Sir David Greenaway, and the oration was delivered by Professor Michael Merrifield. I think 173 students from the School of Physics and Astronomy received their (real deal) graduation certificates, and then I got to say a few words at the end. Below is some video footage from the event and a few photos. I think maybe I prefer this "unofficial" video of the speech... Makes the laughter sound louder!